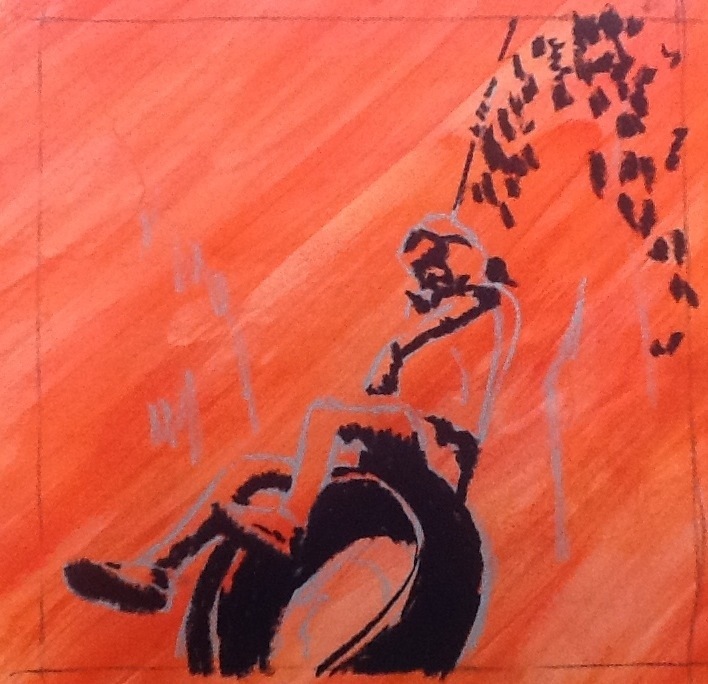 In case you are curious, here is how I started this painting. 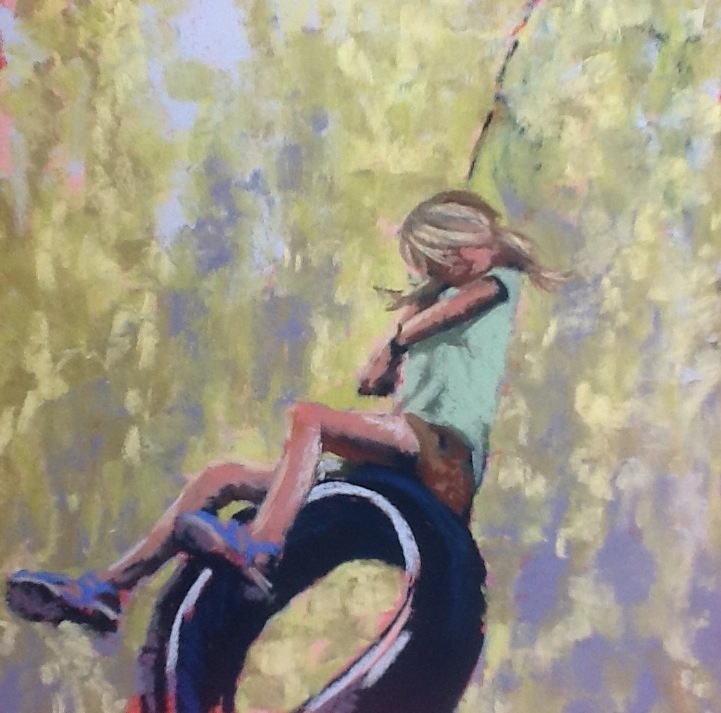 First I identified why I wanted to paint the painting: I loved the movement of the swing and dappled light of the trees in the background. Then I planned my approach: I started on sanded Wallis paper that I under painted with pink and red pastel, and then washed with denatured alcohol. I chose those colors because red is the compliment of green, and this panting is mostly green. Then I drew a skeleton of lines in light blue so I wouldn’t get lost, next I put in my darkest darks in a dark blue green (it looks almost black in the photo, like a true impressionist, I never use black). I unified shadows and darks and added and deleted until I had roughly an S shaped composition of darks. I liked the tension of the tire swing being cropped out. After I had the groundwork established, the rest was just play! What I am most pleased with in the finished painting: her feet. Besides the delightful painting Thanks for the lesson!!! I love hearing your brain at work the processes and techniques… I’m totally clueless, but I do love getting the glimpse!! Miss you. Beautiful Julie! I love the explanation of how you created it. This was one of my favorite poems growing up – thanks for including it in your post. Love the movement, and the detailed description of your process is interesting.